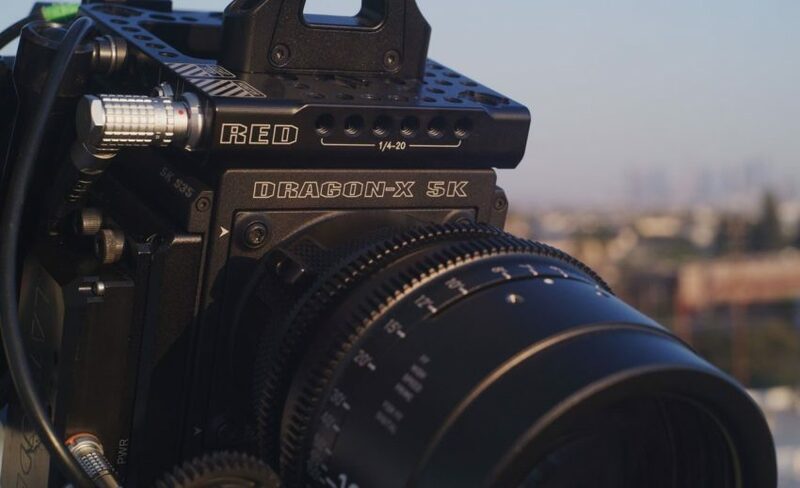 RED Digital Cinema has just added the Dragon-X 5K S35 sensor option into the unified DSMC2 system. The Dragon 5K S35 sensor addition to the DSMC2 lineup marks the 4th option cinematographers now have when choosing a sensor for the simplified, and unified DSMC2 family, which also includes the Gemini 5K, the Helium 8K S35 and the top-tier Monstro 8K VV. The 13.8 megapixel Dragon-X Super 35 sensor has 5120 × 2700 effective pixels and tops-out at 5K/96fps using the full sensor, or 5K/120fps if using the 2.4:1 mode; and 150 fps at 4K 2.4:1 (4096 x 1728) respectively. Moving into a DSMC2 unified body offers many benefits including the now standard, and more streamlined in-camera IPP2 image pipeline and better data rates of up to 300 MB/s. 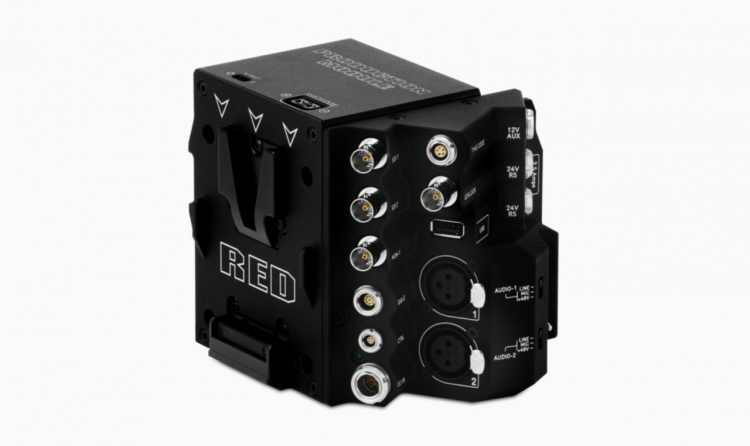 The sensor board has been redesigned as such to accomodate such benefits inherent in the DSMC2 system, and of course you also get simultaneous REDCODE Raw and ProRes or DNxHR/HD recording options. The RED Dragon-X 5K S35 brain is currently priced at $14,950 and can be ordered direct from RED. An upgrade path to go from Scarlet-W to DSMC2 Dragon-X is available for $4,950. 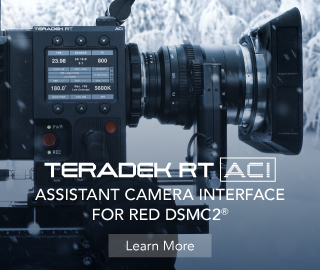 RED also introduced a new DSMC2 Production Module with pretty much all necessary connections and outputs to make your DSMC2 brain into an actual usable camera for high-end productions. Designed for professional shooting configurations, the DSMC2 Production Module (V-Lock) mounts directly to the DSMC2 brain (regardless of which sensor you go with within the new unified family) and offers a comprehensive array of video, power, communication, and pro audio connections. 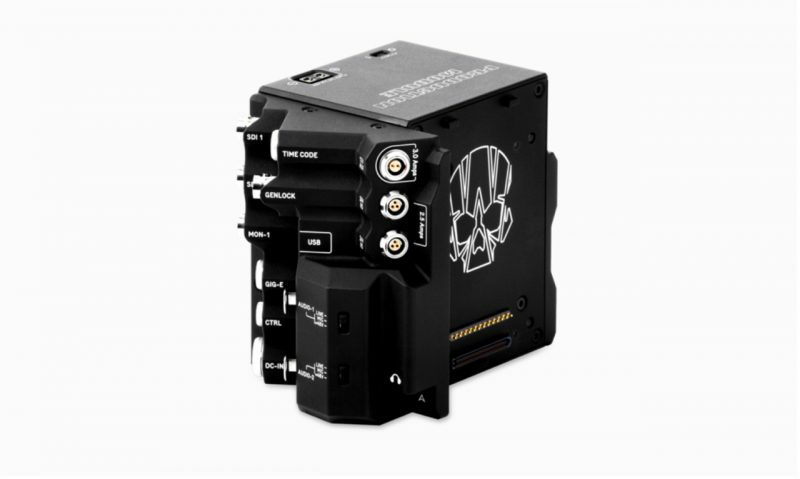 Constructed from lightweight and durable aluminium alloy, this module incorporates an industry standard V-Lock mount to power your DSMC2 camera when using RED BRICK®, REDVOLT-V, or other V-Lock batteries. The Production Module includes 3 x BNC (SDI) video connectors for maximum monitoring flexibility on-set. Two connectors output a cloned 3G-SDI signal, and one connector serves as an independent monitoring output. provide 24V power out up to a combined 2.5 Amps. provides power out up to 3.0 Amps. offers 5V at 1.5 Amps for powering small mobile devices. Balanced Mic with +48V phantom power. Additionally, a 3.5mm line-level headphone jack allows users to monitor audio during takes and in playback mode. The module also features ports for power in (DC IN), Genlock (BNC), Timecode (LEMO), GIG-E, and CTRL. The module RED DSMC2 Production Module is priced at $4750 and you get get the full specs and more info by heading over to RED’s website here.